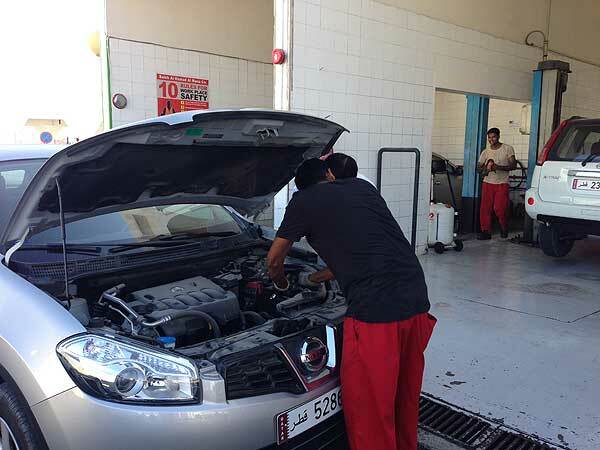 On Sunday morning my car went in for its 10,000 km service at the local Nissan Express Centre . As well as the service, I also asked them to fix the rear washer unit which hadn’t worked since the car was new. 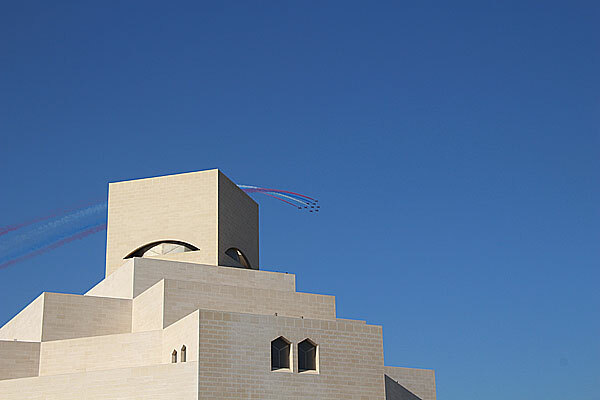 Here in Doha the service intervals are every 5,000 km due to the need for much more frequent changes of oil and filters due to the ambient dust. I picked up the car in the afternoon. They showed me that the washer was working when I left, but a few minutes down the road, it again did not work when I turned the knob on the end of the washer stalk. When I went to go to work on Monday morning the car wouldn’t start. The man from the AAA man (Arabian Automobile Association) arrived after an hour and jump started it. I drove to work, but when rechecking the car at lunchtime, the battery was again quite dead. I blamed poor workmanship at the service centre, and with my lack of expertise in car electronics thought that the again broken rear washer was somehow draining the battery. A discussion with colleagues at work revealed that the life of a car battery in this climate is on average a year. Another jump start and I drove back to the service centre. A technician computer checked the battery… it needed to be changed, and as it was still under warranty, a free replacement. A new battery was fitted. I asked about the rear washer. The service manager checked… he pressed the stalk forward, and sure enough water sprayed over the rear windscreen. It has always been working. I’d just been turning the stalk as in my last car, not pushing. Tags: Arabian Automobile Association, car battery | Permalink. 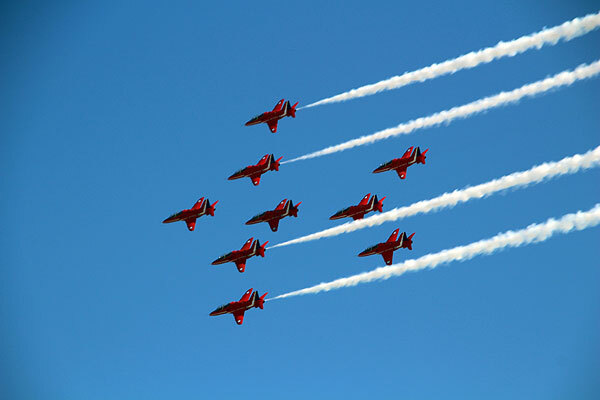 The Red Arrows flew over the city this afternoon. They were performing somewhere in the region and the Doha display was an added extra. They few across and around the bay in their usual spectacular fashion. Along the Corniche, the traffic slowed to a crawl as drivers watched and many double parked to be able to stop and watch. 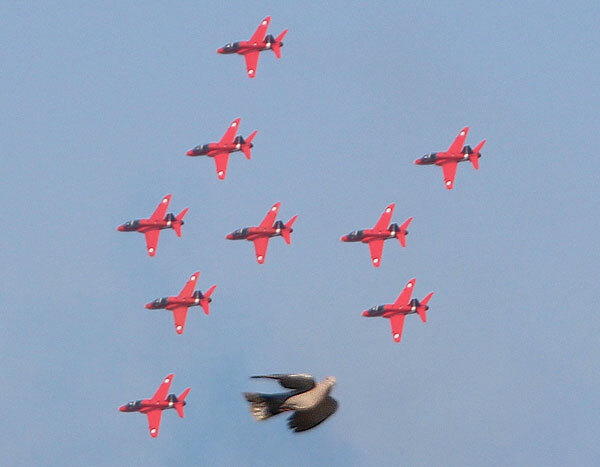 Just when I thought it was finished and drove off in the car, the red planes flew away but then briefly returned with this huge fighter with fiery afterburners roared around the bay… then it was all over. 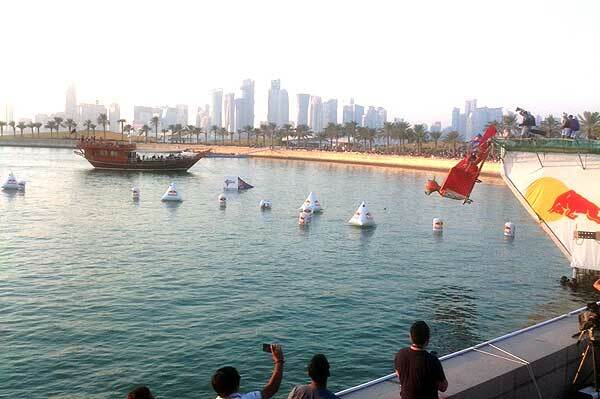 Last Friday the MIA Park hosted Flugtag Qatar. 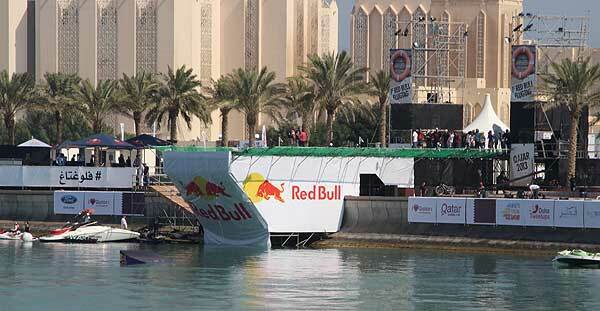 The event was organised by the purveyor of a well known energy drink. 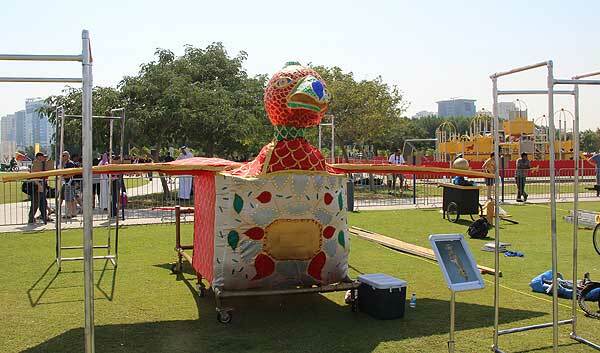 For those of you unaware of the marketing exercise which is ‘Flugtag’, it is built around home-made ‘flying machines’ which are launched off a high ramp. They attempt to fly… the current record is over 70 metres, however most were not built with aerodynamics in mind and plummet vertically. The ramp at MIA Park was over the creek/lagoon adjacent to the museum, with a drop into warm Gulf waters. I was fortunate enough to have a media pass which got me into a special area close to the ramp (just to the right the photo above). So while most of the estimated 17,000 visitors to the event stood out in the 35C sun, I had a shaded space with armchairs, free food and water and as much of the energy drink I wanted. I limited myself to two cans. A variety of craft headed up the ramp, and all made a very short journey into the water. Several craft broke apart during the freefall, but all were destroyed on impact with the water. After each attempt, the wreckage was cleared. We had to wait until after 3pm for our entry to fly. 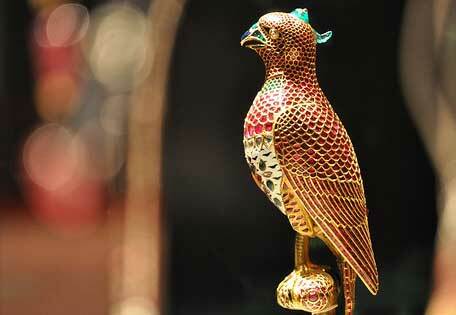 It was built to resemble a spectacular jewelled falcon from the museum collections. I think the entry was a pretty fair scaled-up replica. The 5-person team above with the frames which are supposed to imitate museum display cases. The result was, of course, inevitable. On a number of occasions I have seen large SUVs partially covered with a layer of beige around the front, bonnet and along the wings and sides. 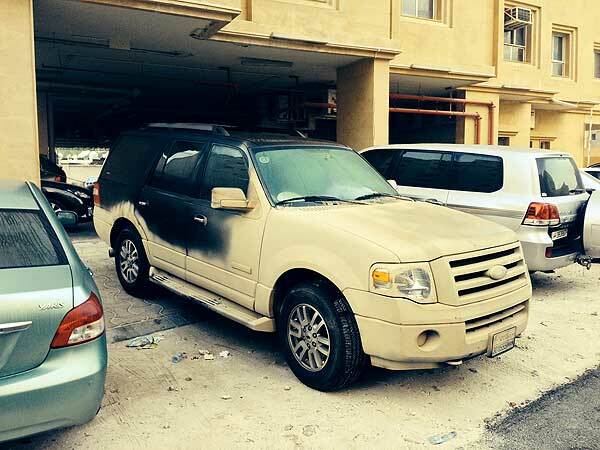 At first I thought it was sand that had stuck to car, as many of these vehicles had Saudi plates. When you touch it, it feels like a heavy undercoat type of paint. I have read that it is done by spraying water, then very fine sand on top, which dries and sticks to the car giving it the muddy camouflage effect. It protects the car from chips, bigger sand particles when travelling at speed along a desert highway. I understand that is is easily removed with a pressure jet. If anyone knows any different, please let me know.